Julia Ridgmont grew up in the American West, but that doesn’t necessarily mean she knows how to ride a horse. What it does mean, however, is that she loves to weave the country’s rich history into riveting tales full of romance and intrigue. When she’s not writing, Julia enjoys cooking, sewing costumes, spending time with her husband, and watching her children perform—or, if she’s really bored or stuck on a plot twist, cleaning the house. She also writes contemporary inspirational romance under her real name, Laura L. Walker. Follow Julia as she unveils heroes whose strength and courage are only surpassed by their tenderness, and heroines who hide their lonely hearts with a cover of steel. It will take fighting insurmountable odds and a will to succeed to find a love that lasts forever. Luckily, her characters have Julia to help them along the way. 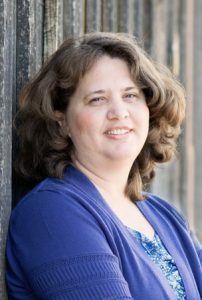 Her debut novel, An Agent for Elizabeth, is part of a multi-author project called The Pinkerton Matchmaker Series. It will be available November 30th, 2018. Julia also writes under the name Laura L. Walker.